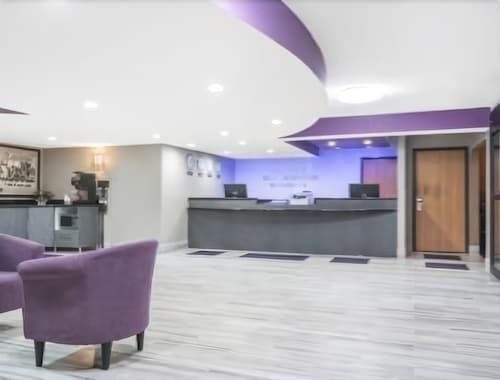 Located in the heart of Inver Grove Heights, this hotel is within 12 mi (20 km) of Science Museum of Minnesota, Xcel Energy Center, and Minnehaha Park. Mall of America and Twin Cities Premium Outlets are also within 16 mi (25 km). Situated in Inver Grove Heights, this hotel is 1.9 mi (3 km) from Inver Wood Golf Course and within 9 mi (15 km) of Xcel Energy Center and RiverCentre. Padelford Landing and Ordway Center for the Performing Arts are also within 9 mi (15 km). Situated in Inver Grove Heights, this hotel is 2.2 mi (3.5 km) from Inver Wood Golf Course and within 9 mi (15 km) of Xcel Energy Center and RiverCentre. Ordway Center for the Performing Arts and Minneapolis Museum of Art are also within 9 mi (15 km). Situated on a lake, this vacation home is within 9 mi (15 km) of Ordway Center for the Performing Arts, Xcel Energy Center, and RiverCentre. Landmark Center and Science Museum of Minnesota are also within 9 mi (15 km). How Much is a Hotel Room in Inver Grove Heights? Hotels in Inver Grove Heights start at $85 per night. Prices and availability subject to change. Additional terms may apply. 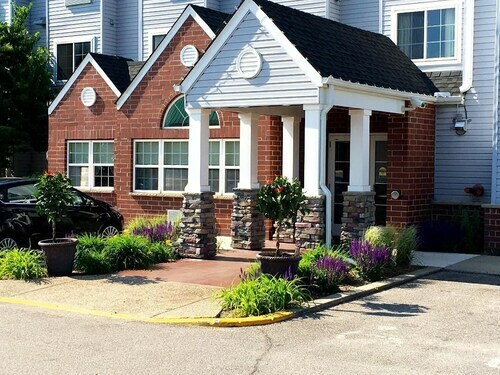 For those adventurers that find themselves roaming around Minneapolis - St. Paul and decide on having a look around in Inver Grove Heights, there are a limited range of hotels and apartments. 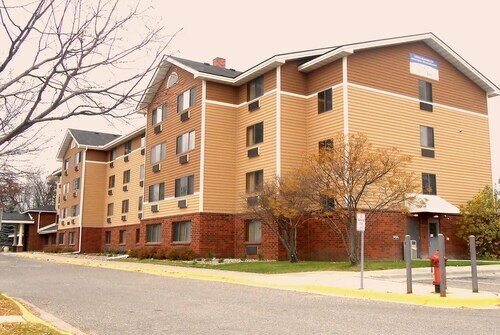 The center of Inver Grove Heights is home to 7 comfortable apartments and hotels within a 6-mile (10-kilometer) radius. 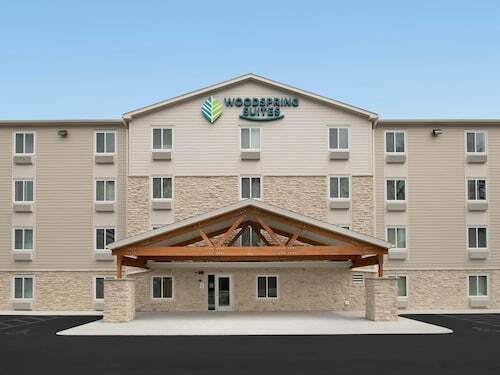 Travelocity-listed accommodations that aren't far from the town center of Inver Grove Heights include the Holiday Inn Express St Paul S - Inver Grove Hgts and AmericInn Hotel & Suites Inver Grove Heights. Travelocity's extensive database offers only a handful of budget hotel options in Inver Grove Heights. The Microtel Inn & Suites by Wyndham Inver Grove Heights/Minneap is one such offering. The Rivertown Inn can be found about 20 miles (32 kilometers) from the downtown precinct of Inver Grove Heights. On the other hand, the Hotel Ivy, a Luxury Collection Hotel, Minneapolis can be found approximately 15 miles (23 kilometers) away. The Residence Inn By Marriott Minneapolis Downtown and the The Saint Paul Hotel are two other Travelocity-listed options in Inver Grove Heights. 9 miles (14 kilometers) away from Inver Grove Heights, you can find St. Paul, which is where you'll find University of St. Thomas and Hamline University. If you spend a night or two in St. Paul, be sure to check out the Holiday Inn St. Paul Downtown and Embassy Suites - St. Paul. 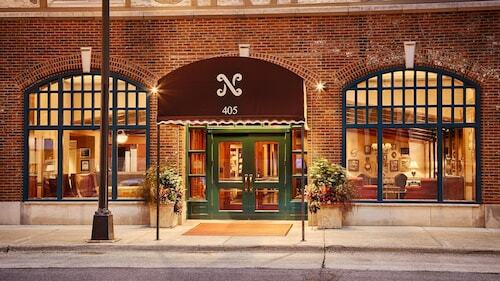 For another option, stay in Hastings, 12 miles (20 kilometers) to the southeast of Inver Grove Heights, where you have the options of the Nichols Inn of Hastings and Val U Stay Inn and Suites. If you're staying in Hastings, make your way to the Alexis Bailly Vineyard and Carpenter St. Croix Valley Nature Center. Make sure you get yourself a fix of sport with a journey to Xcel Energy Center, which can be found 8 miles (14 kilometers) to the north of Inver Grove Heights. Wise travelers that are interested in locating a room not too far away, book in the InterContinental Saint Paul Riverfront or DoubleTree by Hilton Hotel St. Paul Downtown. For travelers flying via Minneapolis - St. Paul International Airport, you may find it convenient to stay at Radisson Blu Mall of America, or Embassy Suites by Hilton Minneapolis Airport, which can both be found a short taxi ride away. New>>>eagan Home, Great for Families, Close to Numerous Local Attractions..